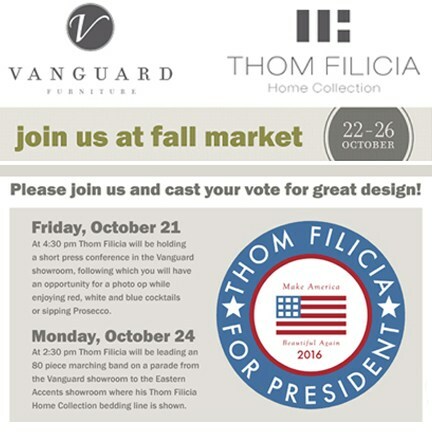 With 1 week until election day, we wanted to give a little shout-out to all of those who made this past High Point Market's Presidential campaign so much fun! 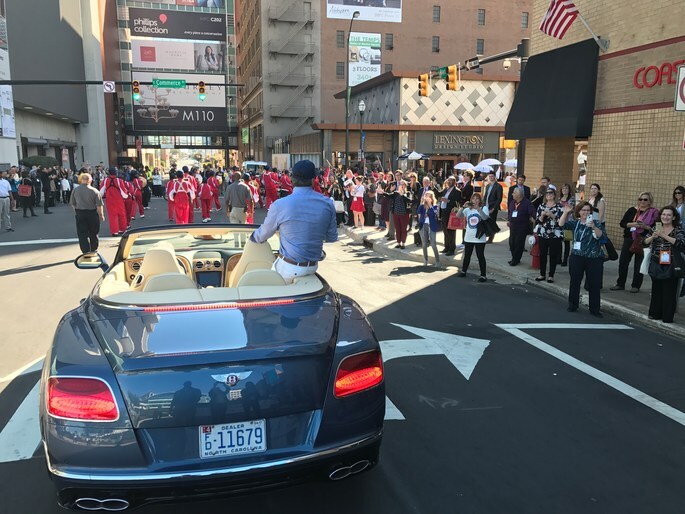 Watch a clip from the parade HERE! Join Your Next Designer-In-Chief for a Presidential Parade and Campaign Party of Presidential Proportions! Looking forward to a fun and "INTELLIGENT" conversation about design with these lovely ladies during market! I'm honored to present an award at this year's Furniture Hall Of Fame Awards during High Point Market. Congratulations to the inductees - especially John Bray of Vanguard Furniture whom I have had the pleasure of working with for many years! Read More About The Event HERE! I'm looking forward to speaking at the Hospitality at Market event during High Point Market this year. Sunday, October 23, 3:30 - 5:30pm, Kimpton Cardinal Hotel, Winston-Salem, free transportation will be provided, cocktails and hors d’oeuvres will be served. 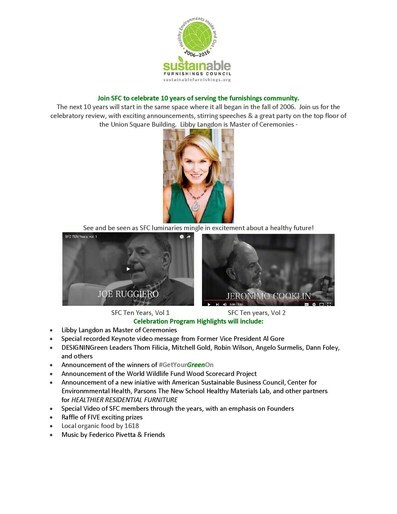 Sustainable Furnishings Council Celebrates 10 Years! 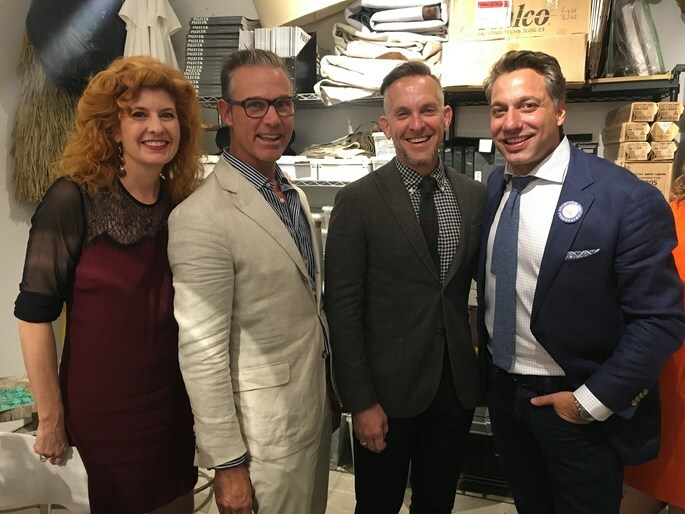 I'm honored to be a part of the Sustainable Furnishings Council and looking forward to celebrating their 10 year anniversary during High Point Market this year! It's finally here...one of our favorite times of the year...High Point Market! Come join us at one of the many events we are participating in while in North Carolina. We look forward to seeing you there! Design Smackdown is finally LIVE on The Design Network! 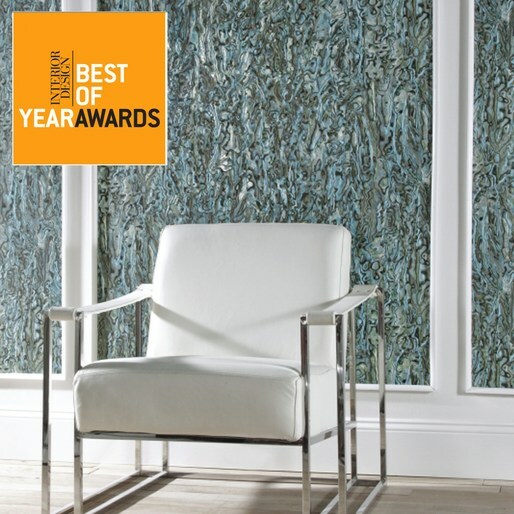 VOTE for TF Wallcovering for Best Of Year Awards!!! 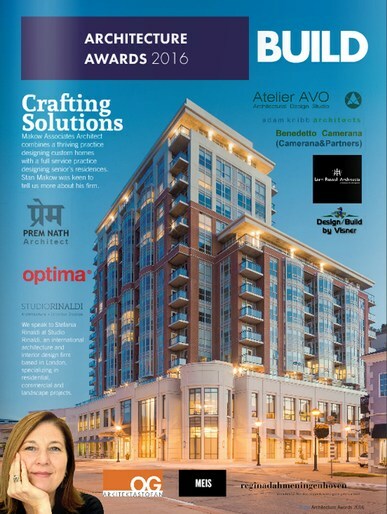 We are thrilled to be up for a BEST OF YEAR AWARD from Interior Design Magazine! Please VOTE TODAY for all of your 2016 design favorites! Thom Filicia Inc. is honored to be awarded two Build Architectural Awards this year - "Best Airport Lounge Design: JFK Delta Sky Deck" and "Most Innovative Interior Design Firm 2016 - New York". What's New What's Next SUCCESS! A great night celebrating What's New What's Next with some of our favorite people! Thanks to the Palecek team for including me in the East vs West Coast panel and to my fellow panelists, Jeffrey Alan Marks, Jay Jeffers and Amy Lau as well as our wonderful moderator, Marianne Howatson! 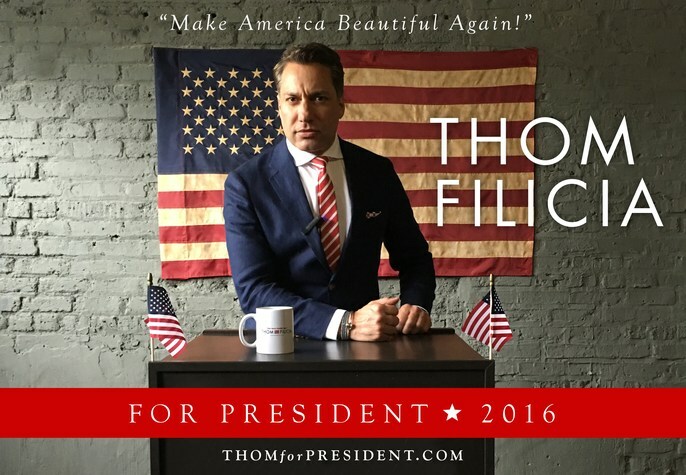 Thank you to everybody that swung by Sedgwick & Brattle to check out our Thom for President campaign! What's New What's Next 2016! Looking forward to another great What's New What's Next at 200 Lex! Come and check out all of the amazing events going on, including an East vs. West Coast Design Panel with Palecek and a "Cocktails & Campaigning" party at Sedgwick & Brattle! 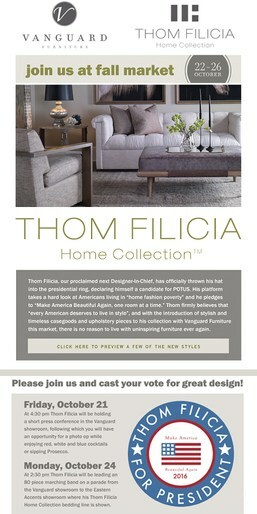 Please join Thom Filicia for campaign and cocktails as we toast to "Making America Beautiful Again"
Thom will also be participating in a very fun East Coast vs. West Coast panel discussion at Palecek - don't miss it!